Diamond Baseball of Boulder is a non-profit, volunteer organization. 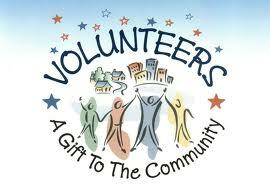 Our board members and other volunteers dedicate countless hours to make our local program possible and affordable. We schedule, fundraise, manage financials, file taxes, organize tournaments, maintain the website, order equipment and uniforms, register players and all of the other things required for a successful baseball program. Our families have a long history of working together to make this happen. Since player fees don't cover all of our annual costs, we offer marketing partnerships for additional revenue. Diamond Baseball Partnership Co-Chairs are responsible for soliciting, engaging and maintaining local business partners who financially support our program. Ideally, the role is split into two roles; Partner Solicitor and a Partner Operations. The Partner Solicitor coordinates a group that sells the marketing partnerships. The Partner Operations role takes over after the sale and makes sure our commitments are met. The first task is to renew our 2015 sponsorships. A full description of responsibilities is found here. Contact or to help. We are looking for two additional board members. Please contact Dinkel or any other DBoB board member if you are interested in serving on our board.